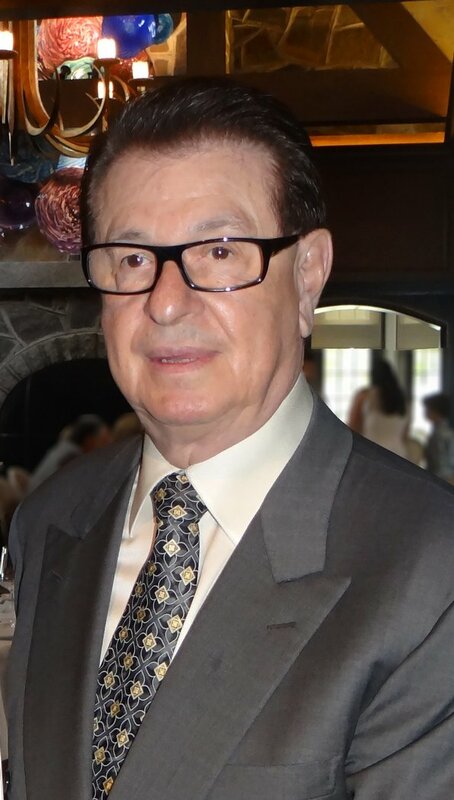 Alfred Carpionato started his life in humble circumstances working for his father’s single family residential construction business when he was merely a teenager. As a young man he traveled to Boston, Florida and California where he gained invaluable experience working with the top developers of that era. Taking everything he learned in the field, Carpionato returned home to take a prominent position in the family business. At just 15 years old Carpionato bought his first building in the Smith Hill neighborhood of Providence, renovated the units into apartments and began transitioning the family business into a commercial real estate firm. By the age of 21 Carpionato became a self-made millionaire. Carpionato was a natural born businessman with astute vision to see potential when others cannot. Combined with a natural gift with numbers and his financial savviness he grew his company into a premier one-stop service provider which includes leasing, acquisitions, brokerage and tenant representation, and property management, with construction and marketing divisions. Cultivating a team of excellence Carpionato established a brand unlike any other, instituting a new benchmark in property development. The company portfolio currently supersedes several million square feet of hotels, office parks, shopping centers, lifestyle centers, luxury apartments and condominiums, restaurants, and several thousand units of affordable housing throughout New England. With $1 billion currently under construction or on the drawing board the breath of his company knows no bounds. Making his fortune through clever real estate deals, careful cost management, and diversifying his portfolio, Carpionato weathered three recessions. His ability to quickly identify value added opportunities in down markets gave his company buoyancy and strength to continue to grow. Highly respected in the real estate and financial markets, his reputation and success afforded him prodigious growth and expansion throughout the country. It is no surprise that banks began calling on him early in his career to take over properties in distress and in need of his expertise helping him pioneer his path to become one of today’s property developer moguls. Carpionato took pride in his home state of Rhode Island. Positioning his headquarters here and employing over 500 employees, he has provided steady growth and security for their families for the past 50 years. A devout Christian, Carpionato was equally distinguished as a philanthropist gifting unprecedented resources to charity both locally and abroad. He gave considerable donations to help build a school in Haiti for improvised children always trying to help those less fortunate living in insufferable circumstances. True to his roots, Carpionato strategically revamped the Rhode Island and Southern Massachusetts landscape adding tremendous value to each city and town where he developed. Although most of his properties are built from the ground up Carpionato didn’t shy away from perseveration. In 1996 he purchased the over 100 year-old badly neglected Anglesea Mansion, located adjacent to the Breakers in the historic district of Newport, Rhode Island along the Cliff Walk. After a decade of careful restoration and donating seven figures into rehabbing the Cliff Walk, Anglesea is thriving once again and has become a focal point for Newport tourism. Similarly, Carpionato transformed the once destitute remains of the Howard Reservation (also known as the Sockanosset Training School) in Cranston, Rhode Island into a vibrant lifestyle community becoming a signature property that has been highly recognized by several reputable publications including the New York Times. A quiet humanitarian Carpionato tended to donate anonymously-never announcing the value of his financial contributions he has made to organizations in need of his generosity. As an evolutionary leader in his community he served on the board for Rhode Island Hospital and was a member of the Rhode Island Commodores. He was inducted into the Rhode Island Heritage Hall of Fame in 2017. A maverick developer with a keen eye for value Carpionato led his company over six decades to achieve excellence as one of the largest independently owned and operated property development companies on the northern east coast. "Losing [Carpionato] is a great loss for our state and our real estate community..." - former Providence Mayor Joseph R. Paolino Jr.